60-70% of operational cost contact center come from personnel. Moreover, this cost will increase due to the increase in staffing growth, coupled with a turnover number that is quite high, it is certain that the personnel cost will be higher. To reduce operating costs, many Contact Center/Call Center chose to do training "soft skills" internally by means of internal trainers as well. So, companies need to set up a reliable trainer, who has a comprehensive knowledge ranging from soft skills, hard skill also technical operation management contact center. Besides, it still requires the necessary knowledge and skills n the preparation, how to bring the material interesting and effectively, also how to conduct training evaluations. 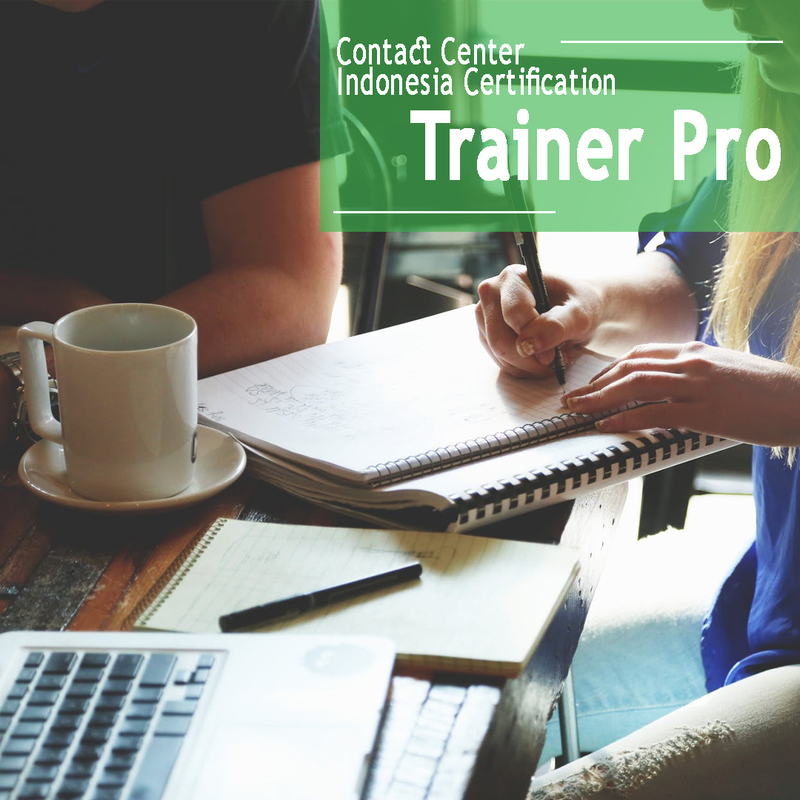 For those who are assigned as Contact Center Trainer, no matter what their experience level, definitely need to upgrade their knowledge and sharpen their skills as a "Professional Contact Center/Call Center Trainer". Therefore, 168Solution as a company that has the expertise and experience in Contact Center/Call Center Consulting and Training, encourage you to attend a certified training program of Contact Center Indonesia Certification (CCIC) Profesional Trainer, We design the certified training program with international standards supported by ContactCenterWorld.com to increase your understanding of the challenges skill, and competencies required to successfully become a "Profesional Contact Center/Call Center Trainer". Understanding the operational environment of the Contact Center/Call Center. Ability to analyze training needs. Skilled in the use of various methods of training. Skilled in delivering training material in an interactive atmosphere, fun and appropriate training needs. Trainer roles in Contact Center. Soft skill, Hard skill and technical Operation Management competency concept in Contact Center. Competencies and skill verification in Contact Center. Multimedia and technology roles in Contact Center/Call Center Training.